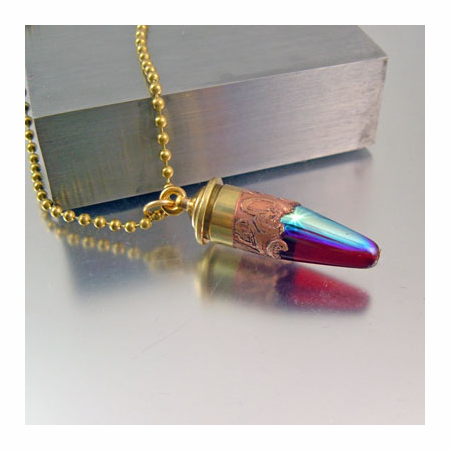 Healing Hearts is a .9mm recycled bullet necklace created in a manner never seen before; it is two tone brass with copper. It's not plated, it's not painted, it is real brass and copper together. Brass contains a small amount of copper, the trick is to remove the brass without removing or damaging the copper and the result is unique. 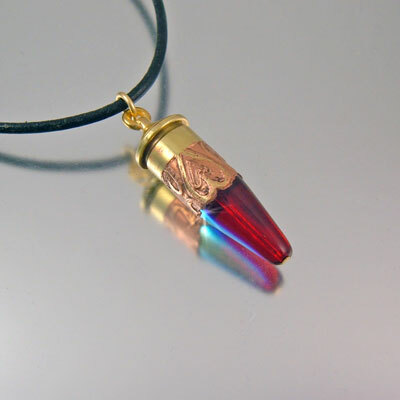 The design is 2 hearts interlinked around the bullet casing. The European glass point is two tone red garnet color with an AB finish producing a color change with your movement. 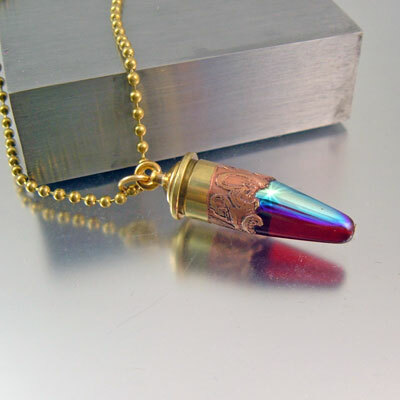 This is truly a unique and one of a kind bullet necklace which you will not find elsewhere.